If you clicked on this post after seeing the title then I question your judgement. Disney released a decent amount of news this week but none of it is all that fun or interesting. Basically, it was the right amount of information for me to feel a blog post was necessary and might even be useful. Unfortunately, much of this news is dry and not worth much commentary from me. Let’s get into it! The biggest news of the week was Disney’s ban of over-sized strollers, wagons, ice and smoking. 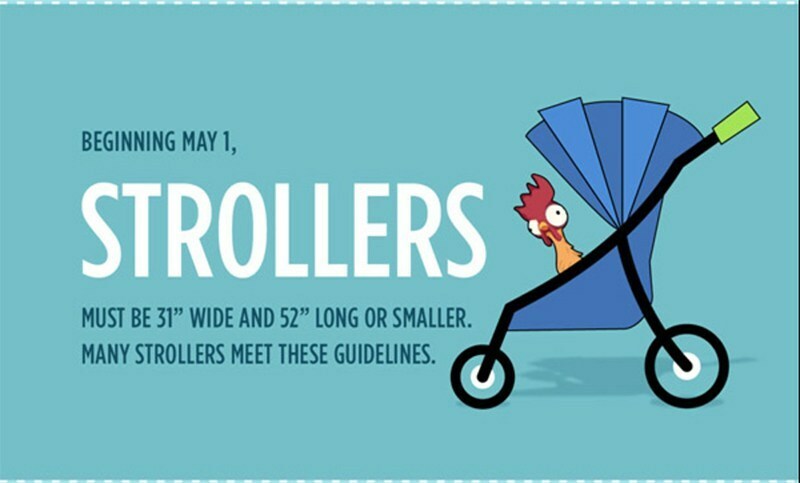 Starting with the strollers, the dimensions can’t be any longer than 52 inches long and 31 inches wide. The stroller news is likely the biggest development out of these bans but frankly most stroller fit well inside of those guidelines. I can see them being an issue for families with multiple kids but even then, most fit into the dimensions. I don’t have kids and will shy away from much commentary here because I don’t want to offend anyone who uses a large stroller. The one thing I have to say is that my ankles have been casualties in many stroller hit-and-runs over the years. Extremely large strollers are hard to push around and having certain dimensions seems like a logical way to help park flow and security. 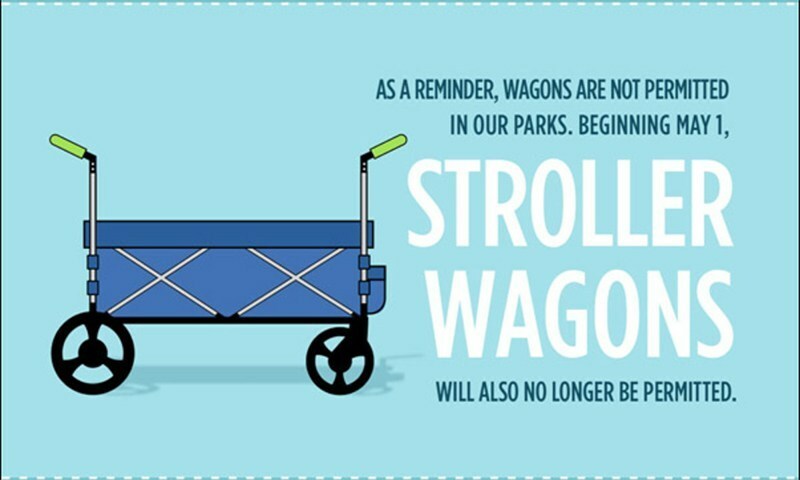 Likewise, stroller wagons won’t be allowed in the parks after May 1st. I didn’t know this was really a thing until our last Disney trip when I saw a few around the parks. This ban also simply makes sense from a logistical standpoint because the dimensions interfere with walkways, park flow and security. I could understand the appeal for families but, frankly, bringing this to the park seems like a hassle for all involved. 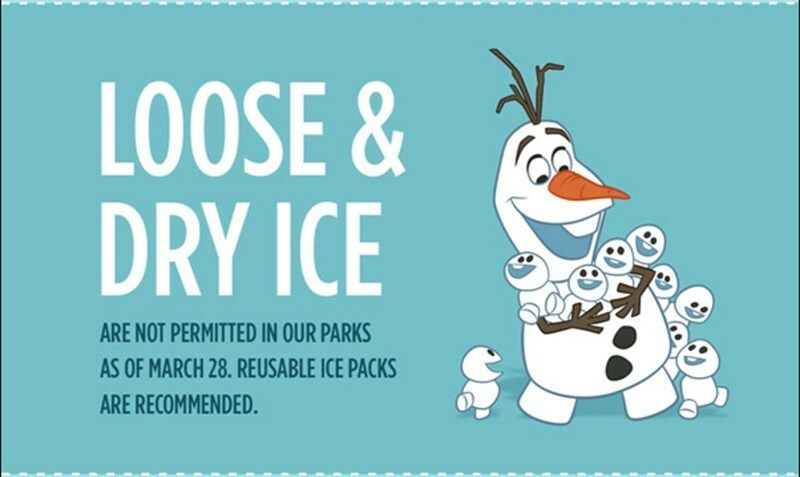 Loose and dry ice are not allowed into the parks anymore. Raise your hand if you know that this was allowed before? I guess the reason to bring loose ice into the park would be in a cooler. Having security dig through that is a hassle and makes logistical sense to ban. Switching to ice packs shouldn’t be a big deal for those that bring coolers into the parks. The last ban that has been implemented at Disney Parks is a ban on smoking at Disney Parks, Disney Water Parks, ESPN Wide World of Sports and Disneyland’s Downtown Disney. There will be designated areas to smoke outside of the parks, at the resorts and in Disney Springs. This topic is a little more sensitive than bringing ice into the park. I’ve never smoked and don’t have any desire too. I do understand that there are many people around the world that still smoke and it’s not an addiction that is easy to break. While Disney and society has been moving towards a full ban over the last decade, some guests who smoke will be frustrated by these changes. Personally, this is a huge benefit to me in the long run. Many of the smoking areas in Disney Parks ended up being in beautiful places that I like to explore. Secondhand smoke is not pleasant and somewhat frustrating when trying to explore certain spots in the park. Now those places will be open to all without any frustrations. In the short-term, I fear that many cast members have a difficult job ahead of them. Enforcing this new rule will not be enjoyable for the cast members, nor those who smoke and are not aware of the rule. The transition over the next few months (and possibly years) will be difficult as I can see some guests trying to smoke anywhere now that they don’t have a designated area. Perhaps the transition will be smoother than that, at least I hope so, but it could be a real headache for many involved. In the long run, it was the right choice by Disney. 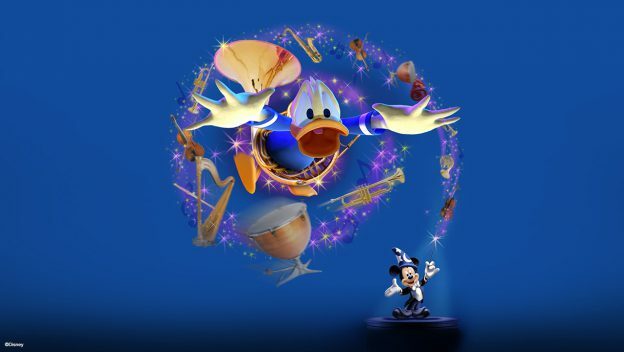 Moving on to more enjoyable and interesting news, Mickey’s PhilharMagic will be finding a new home in Disney California Adventure. This 3D film is in many castle parks around the world and adding it to California Adventure is a smart move that will immediately boost the park’s attraction roster. No, PhilharMagic isn’t the best attraction in the world but it is a solid 3D movie. The film will show in the Sunset Showcase Theater in Hollywood Land, adding a little bit of substance to an otherwise vacant corner of the park. While I always prefer original attractions to retreads from other resorts, adding PhilharMagic to the park is a no-brainer. That’s about it for this not-so-exciting installment of news. Let us know your thoughts in the comments! If you enjoy what you are reading here on Wandering in Disney please share this post with your friends, as well as like our social media pages. You can also subscribe to the blog via WordPress or email. All of those links are on the right side of this page. Thank you for reading, we really appreciate it!